Mister Sam Blended Whiskey. Photo Courtesy Sazerac. 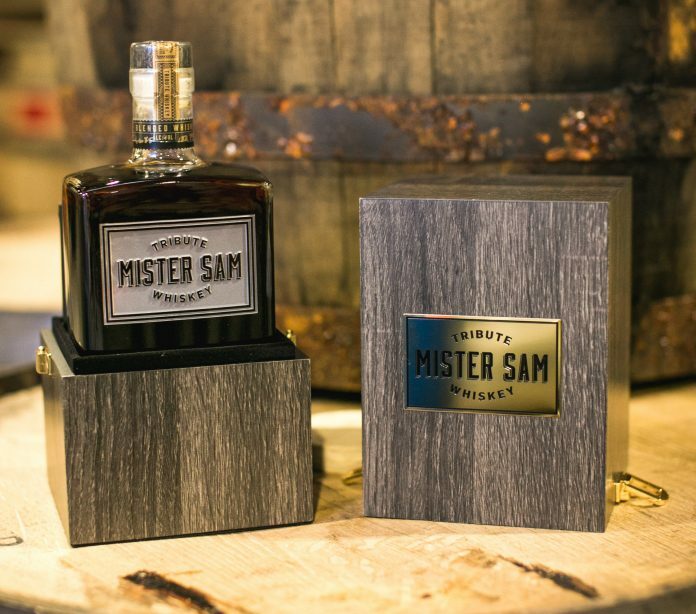 Sazerac has announced the first annual release of Mister Sam Blended Whiskey, named in honor of late Seagram’s patriarch Sam Bronfman. Bronfman, who emigrated to Canada from Russia in the late 1800s, was the force behind Seagram’s status as the world’s largest distilled spirits company in much of the 20th century. During his decades-long tenure at the helm of the Seagram’s company, headquartered in Montreal, Canada, he was a pioneer in new blending and marketing techniques for his family of brands. In the 1940s, Sazerac became the first American distributor to bring many of Seagram’s brands to the US. Today, Sazerac owns 15 former Seagram’s brands, including Seagram’s V.O., Seagrams ’83, and Seagram’s Five Star. It also owns the distillery in Montreal once presided over by Bronfman. While Sam Bronfman himself passed in 1971, his name lives on with this new release. Mister Sam will be a blend of both Canadian and American whiskeys, underlining the lasting relationship between the two companies. Fittingly, the final recipe was created by Sazerac Master Blender Drew Mayville, a Kentucky resident with Canadian roots. The barrel strength blend is bottled at 133.8 proof, promising a bold set of flavors. Sazerac plans to make this an annual release, albeit a very limited one. The 2019 release will be highly allocated, with just 1,200 bottles on shelves in the US and Canada at a suggested price of $250.